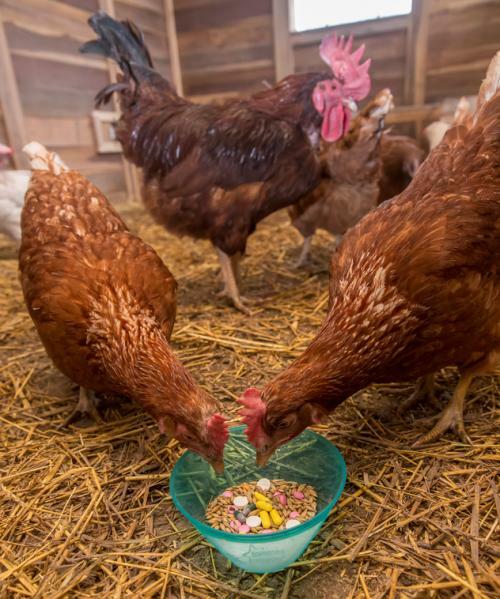 A new study led by researchers from the Center for Disease Dynamics, Economics & Policy (CDDEP), published in Environmental Health Perspectives, finds high levels of antibiotic-resistant bacteria in chickens raised for both meat and eggs on farms in Punjab. A similar study conducted by the Centre for Science and Environment in 2014 found the use of antibiotics in the feed of poultry animals. The finding of the latest study reiterates that the status quo has not changed and rampant misuse of antibiotics continues. The study raises serious concerns over the use of antibiotics for growth promotion in farm animals. For the study, the largest of its kind ever to be conducted in India, researchers collected more than 1,500 samples from 530 birds on 18 poultry farms in six districts in Punjab and tested them for resistance to a range of antibiotics critical to human medicine. For research purposes, eighteen poultry farms from Punjab were surveyed, and 1,556 Escherichia coli isolates from 530 birds were tested for susceptibility to 11 antimicrobials. Samples from 510 of these birds were tested for production of ESBL—enzymes that confer resistance to most beta-lactam antibiotics. Researchers found that two-thirds of the farms reported using antibiotics for growth promotion. These farms were also nearly three times more likely to report multidrug resistant bacteria than those that did not use antibiotics for growth promotion. Its finding says that meat producing farms had twice the rates of antimicrobial resistance as compared to egg-producing farms, as well as higher rates of multidrug resistance. High levels of resistance to many important antibiotics were found across the board, ranging from 39 per cent for ciprofloxacin, which is used to treat respiratory infections, to 86 per cent for nalidixic acid, which is used to treat urinary tract infections. Almost 60 per cent of the Escherichia coli (E. coli) samples analysed contained “resistance conferring” genes, that not only render many antibiotics ineffective but can also be easily passed on to other types of bacteria. “Overuse of antibiotics in animal farms endangers us all as it multiplies drug resistance in the environment,” said study author and CDDEP Director Ramanan Laxminarayan. Interview with Ramanan Laxminarayan, main author of the research and director of CDDEP. How do the farmers procure the antibiotics they use in poultry farms? Poultry farms work on a contract basis, which means small chicks are provided to them, along with the feed by corporate farmers, who are basically producing the poultry. They are providing bags of feeds for the chicken which already have antibiotics. This is pre-mixed or medicated feed and this is how they are getting the antibiotics. Some of the big farmers are aware of these facts, but most of them are not. How is human health at risk due to the use of antibiotics in poultry? Use of antibiotics in poultry leads to the selection of resistant bacteria, which is what our study has found. This is happening on a very big scale. Once the bacteria stop responding to antibiotics in poultry, the resistance can be transferred to humans via food, water, air, or infections in farm workers. It is mistake to think that what is happening in Ludhiyana does not affect us in Delhi. What policy changes are required to check the misuse of antibiotics in poultry? The use of pre-mixed feed, when the farmer is not aware of the added antibiotic, should be banned. India should ban the practice of pre-mixed feed. If animals need antibiotics for treatment, it should be given preferably by prescriptions of veterinarian.